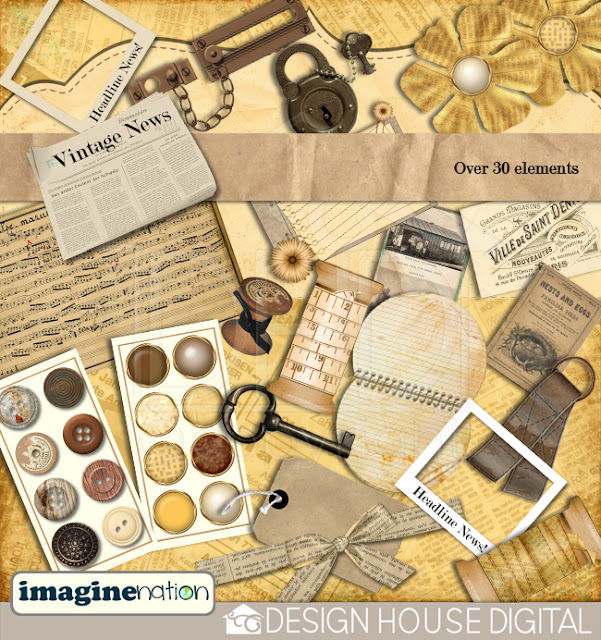 imaginenation: New Vintage News Kit! And ANOTHER freebie! 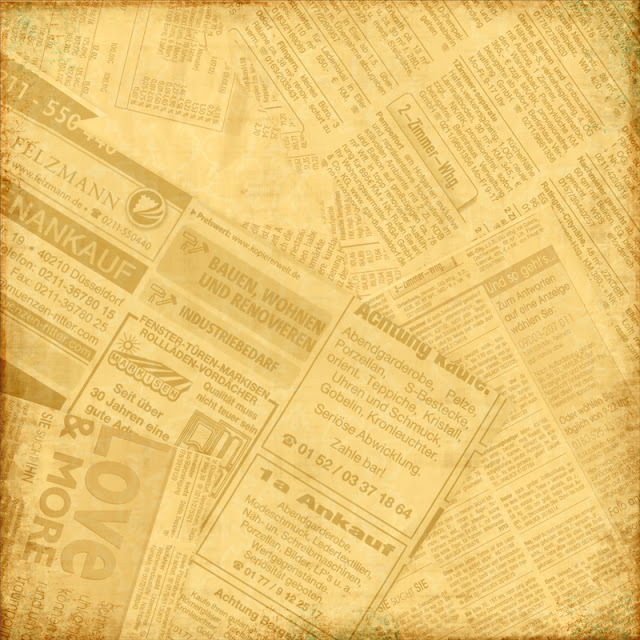 New Vintage News Kit! And ANOTHER freebie! Hi there! 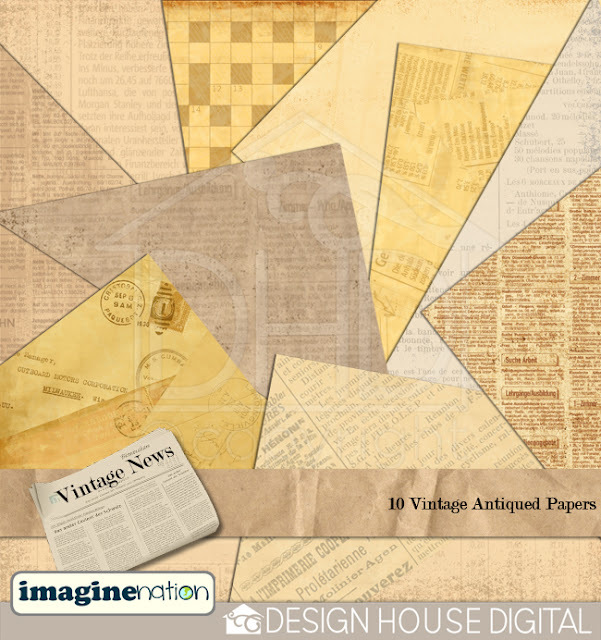 I am excited to be able to present my newest paper kit.....Vintage News! 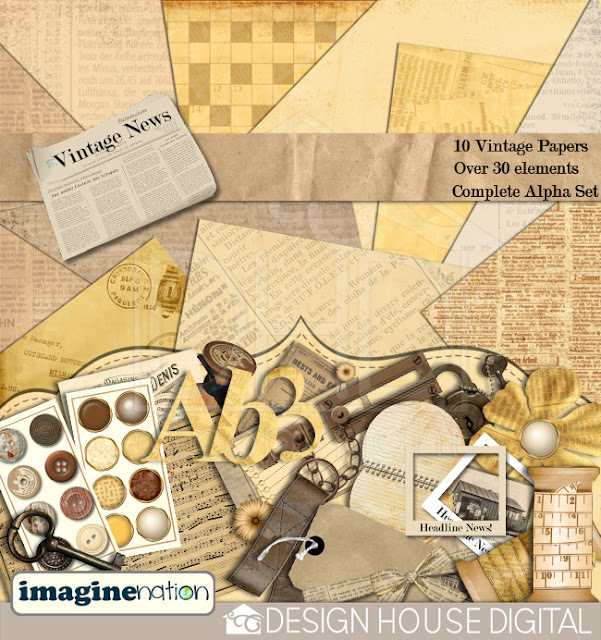 If you are like me and like the soft gentle timeless tones of yesteryear then this kit is for you! It is packed full of goodies that would go great with ANY colour, style or paper, so it is a must have basics kit! This is the complete kit....these are ALL on special for TODAY ONLY at 30% off....be quick and grab a bargain! Buying it in kit form saves you heaps! 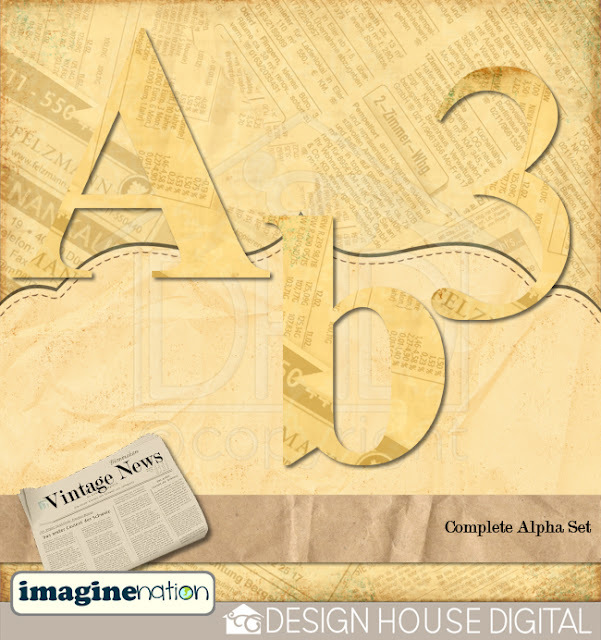 And my amazing vintage newsprint complete Alpha! 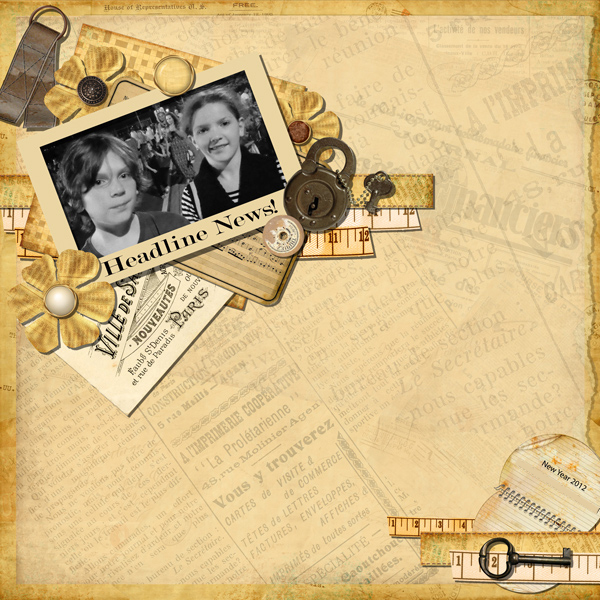 And here is a layout I made with these! So whichever kit you want....be quick as they are ALL on sale for 30% off this Thursday ONLY! And if you are interested in what this kit is like....you might want to download the freebie I have here.....it is a paper that is NOT included in the kit! 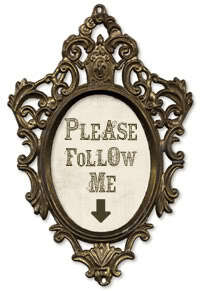 Right here....free! Yes, FREE! Grab it quick, before I realize I am crazy! Just click on it to bag this cool FREEBIE!